The RNC is not supporting the ideals of the conservative populace. The RNC is ran by lifetime members who no longer are relevant. They toss out an old woman who states Rubio disappointed her, who cares? They Stop the Strongest Leader, The only one who can win a battle against any Democrat they decide to go with from the Debate stage. Reince has sat at his huge desk, making deals to get him more power and money, and ignores the Conservatives who called in and cancelled their membership in droves. He decided that the money that is needed for a truly strong Political run for this November was not enough as these members cancelled monthly contributions, annual contributions, and commitments to donate to the general fund. Then the RNC attacks Carly, because she states what all Americans know: THE GAME IS RIGGED-THE RNC WANTS ANOTHER LIFE TIMER TO BECOME PRESIDENT. The problem is that it will be the Democrats who win if we allow this leadership in the RNC, and in the Senate to continue. We need to remove the outdated, power hungry, despots from their offices, and before it is to late. 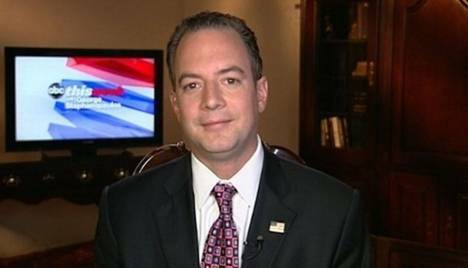 So today, at this moment, On this medium, I CALL FOR THE RESIGNATION OF REINCE PRIEBUS, THE ASSISTANT TO THE POLITICAL ELECTIONS, AND ANY MEMBER OF CONGRESS THAT IS MAKING BEHIND THE SCENE DEALS TO ELECT SOMEONE THAT THE AMERICANS DO NOT WANT. I AM SORRY REINCE. IT IS TIME TO GO. YOU DO NOT REFLECT THE CONSERVATIVE POPULACE!!!!!!!!!! !